​Although prairie dogs used to cover the American grasslands, in the early 1900s bubonic plague—the same plague that ravaged human populations in medieval Europe—was introduced from Asia. The disease had disastrous consequences: Since its introduction to North America, plague has caused devastating population extinctions throughout the ranges of all 5 species of prairie dogs. Despite this, there is some evidence that a small number of individuals (~1%) can survive plague. This observation suggests that some prairie dogs may have evolved resistance to the disease. Understanding the genetic basis of resistance is of great importance to prairie dog conservation, because it will allow managers to designate key populations for conservation and reintroduction. Not only this, but it will help concentrate conservation efforts on species that depend on prairie dogs, like the endangered black-footed ferret. Unfortunately, identifying disease-resistance genes is one of the most elusive goals in biology. Disease resistance can evolve through a single mutation, or can result from changes in many genes, and sometimes the genes are different among species. For this reason, it is advantageous to examine the entire genomes of resistant and susceptible animals. After the genome has been sequenced, I will use it to locate genes that confer resistance to plague in prairie dogs that survive the disease. 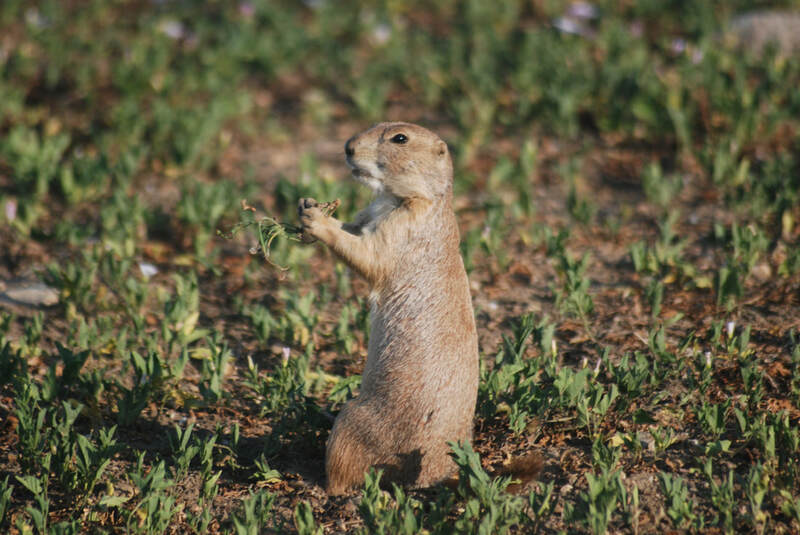 In the future, the genome will also be useful for other scientists studying prairie dog communication and behavior, local adaptation, and a myriad of other questions in prairie dogs and related rodents. This research has implications not only for the conservation of prairie dogs, but also for species worldwide that are threatened by introduced pathogens. For some species, disease resistance offers the only escape from extinction. By understanding the genes controlling resistance, scientists will be equipped to design conservation plans that preserve the genetic diversity facilitating resistance.